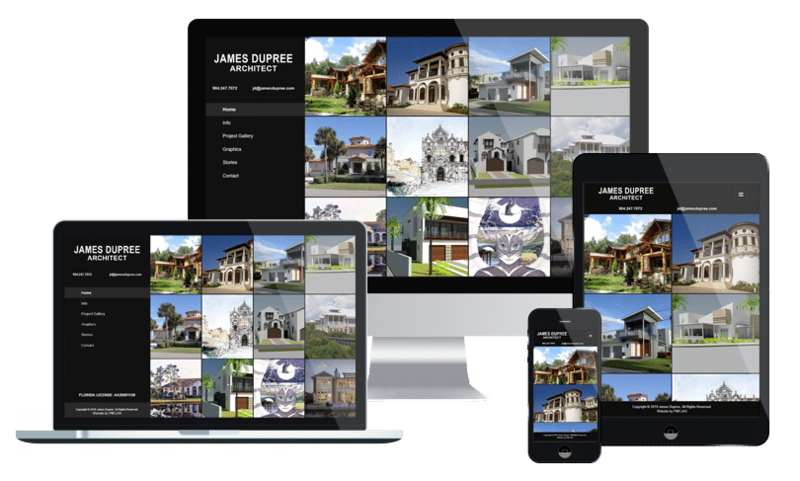 James Dupree is a prominent architect and artist in Neptune Beach, FL who provides design and architecture services for custom beachfront homes. When James contacted PMCJAX for website design services he was utilizing a template-based website service provided by a domain registrar. After multiple meetings and discussions related to our design philosophy and project process, James selected PMCJAX over several of the top website design companies in Jacksonville. Our custom WordPress website design provides James the ability to quickly and easily add projects, add and remove pictures from each project, choose which projects to feature on the homepage, and manages all inquiries both through database and email notifications.